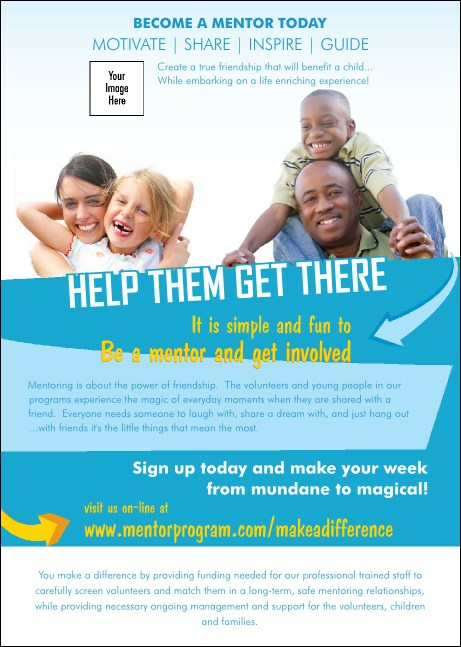 Achieve the full potential of your pre-event publicity when you send out personalized Mentoring Postcards in advance. Featuring a colorful blue background with white and yellow text and room to include a unique image, you can almost hear the laughter of the kids and their mentors pictured on the front. Make it personal and meaningful with Postcards from TicketPrinting.com.